PODCAST: Is the erosion of local amenities making village living unsustainable? Culbokie Fiona Butcher (left) and Alison Lowe, frustrated commuters to Inverness. 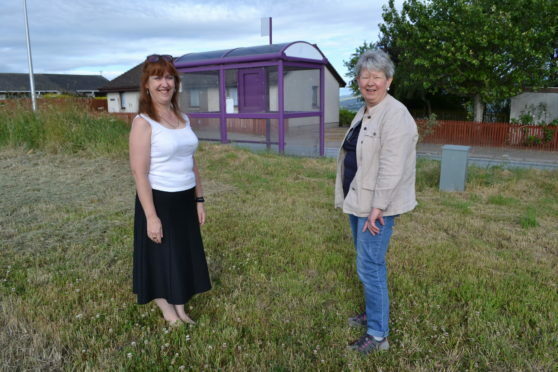 Our series of summer podcasts around the Highlands with local government reporter Susy Macaulay continues in Culbokie. She has travelled around the Highlands finding out what life is really like in its diverse communities, scattered across a landmass said to be as big as Belgium. A common challenge for villages is erosion of the amenities which make them sustainable, like public transport. Villages like Culbokie on the Black Isle, where residents find commuting to Inverness by bus at best very challenging. In this podcast Susy speaks first to Fiona Butcher and Alison Lowe, both of whom work in Inverness, some 15 miles away. She also spoke to community councillor Bruce Morrison about the notoriously dangerous Crask junction. This is the third in a new series of podcasts from across the Highlands. Keep an eye on our website for the next episode.